Equipped with A/B side double laser units. A/B side simultaneously marking structures. 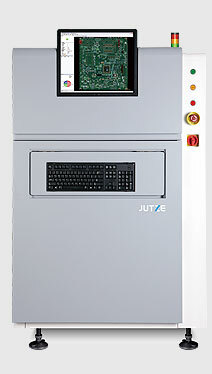 1,Laser unit coupled with Z axis control, capable to handle different thickness of PCBs and components, adjustable range :±3mm. 2,Coupled with independent servos for X/Y axes. 3,A/B side independent air purification systems.